We offer full services for the management of retired and end-of-life IT assets. Discover how our service offerings enhance the supply chain. At Akooba, Inc., we develop original software and system products for service providers and enterprises. See the solutions of today and catch a glimpse of the solutions of tomorrow. Not all industries are created equal. Discover reverse logistics strategies designed to minimize your spend and maximize your Return on Investment while meeting all regulatory requirements. Upholding the data security measures critical for protecting data centers. License cutting edge technology to enhance your service offerings and tap into new clientele. Superior asset recoveries powered by cutting edge technology. A silent partner for the reverse logistics of IT assets. Have a question about an Akooba product or service? Not all retired or end-of-life IT assets have the same supply chain path. At Akooba, we ensure each asset finds the right solution to maximize its end-of-life value. By working with IT program managers, we develop unique IT asset management and disposition strategies that maximize the value of retired assets. Powered by our VisiShred technology, we offer complete secure, reliable, and verifiable data destruction services. The best way to reduce is to reuse. Through our ITARR program, we refurbish and remarket electronics through our own and external online marketplaces. When reuse is not an option for an IT asset, we break down the product into its refined commodities. 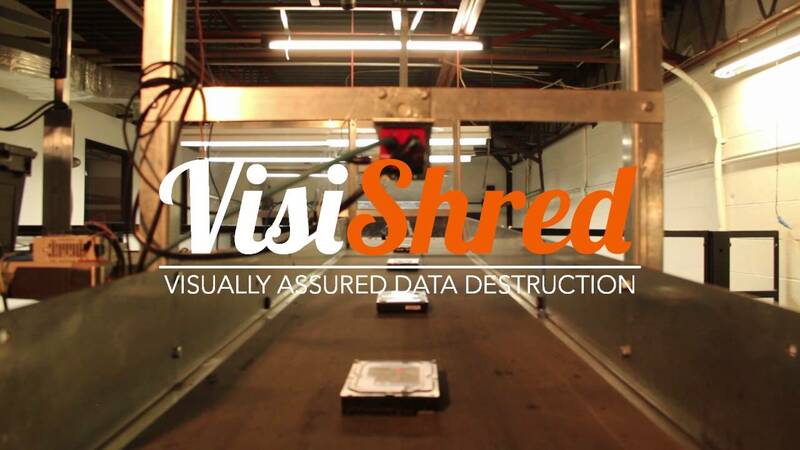 VisiShred allows data destruction service providers and enterprises to support their customers with high definition videos of individual and uniquely identified assets. Barcauto is an automated asset identifier that makes documentation processes more efficient while mitigating risk caused by human error. Akooba Labs develops solutions for service providers and enterprises to make processes more efficient and affordable through the integration of cutting edge technology. Call us today at 1.844.425.6622 to see how Akooba can help your organization! What forms must be completed before discussion can begin between my organization and Akooba? New parties must sign our Non-Disclosure Agreement. What forms must be completed before work can begin between my organization and Akooba? New parties must complete our Master Services Agreement, Service Addendum, Scope of Work, and Pricing Agreement. Akooba customers receive their bill at the end of each settlement period or when there are no more consignment assets to be sold. Customers of Akooba are billed electronically by a PDF invoice, which they will receive by email from their account manager. Bills are payable 30 days upon receipt. "Accommodating, efficient, and always professional." "Smart and knowledgeable, they know what they are talking about." "It’s a reliable company that is very honest about what it does and why they do it. The services that Akooba provides are top notch and I have never had an issue." "Easy to work with. Easy to communicate with." 2017 Data Breach Update: Solutions to decrease and prevent data breaches.